No one would ever confuse the dark dreamscapes of David Lynch for the droll dollhouse comedies of Wes Anderson. But the two filmmakers do have one thing in common: Better than most of their contemporaries, they understand the power of a good music cue. Later this month, the Red Room Orchestra, formed by San Francisco multi-instrumentalist Marc Capelle, will perform songs and soundtrack selections from both directors’ very different but equally enviable bodies of work. The A.V. Club will be at Symphony Space in New York as a media partner for the two-night event, which kicks off on February 15 with a tribute to Twin Peaks, its unforgettable Angelo Badalamenti score, and some additional musical highlights from Blue Velvet and Eraserhead. The following night, February 16, the Red Room Orchestra turns its attention to Anderson’s filmography, covering score cues and standout needle drops from Rushmore, The Royal Tenenbaums, and more. Fingers crossed for “In Heaven (Lady In The Radiator Song)“ and “These Days.” Symphony Space welcomes special guests for each performance, including Margaret Cho, James Marshall, and Jon Glaser (for Twin Peaks), and Margaret Cho, Dave Hill, and Hether Fortune (for Wes Anderson). 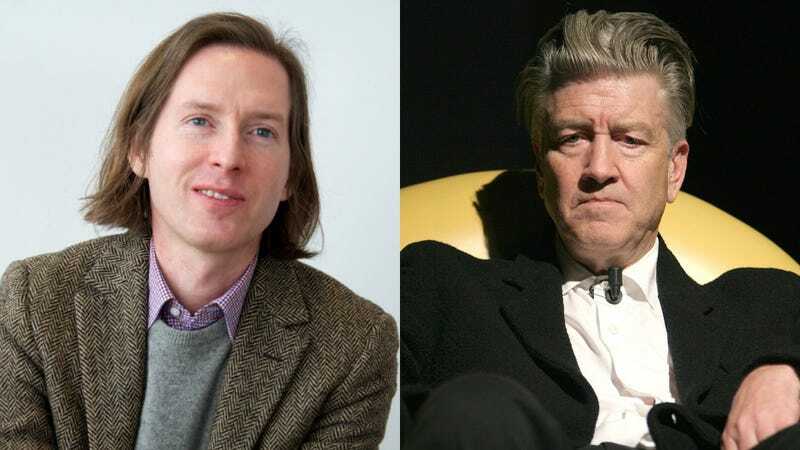 You can buy tickets for the Twin Peaks night here, and the Wes Anderson night here. Or you can enter to win a pair to one of the shows by sending an email with your favorite Lynch or Anderson musical cue to avcontests@theonion.com by 11 a.m. Eastern on Monday, February 11. The winner will be picked at random and contacted with the details of how to claim their tickets. In the meantime, enjoy one of the most sublime musical moments in the history of American movies.